Like all good wildlife, this blog has rather been in hibernation since the snows fell in mid-December and cold, dull winter set in. We’re well-and-truly awake now, though, with the great news of the announcement that Stephen Cottrell is to be the next Bishop of Chelmsford – whose diocese includes the five London borough which are the subject of this blog. Bishop Stephen is currently Bishop of Reading but was ‘born and bred’ in Essex, and lived in Walthamstow during his student days, and so knows the area well. “What sustains me in ministry is the joy and beauty of the gospel. I want us to be a church that is gospel centred, servant hearted and mission focused. I am hungry for us to be a church that connects with every person and every community. “I am excited by the prospect of getting to know and working alongside the parishes and communities of East London and Essex that make up this great diocese. I look forward to working with new colleagues and making new friends. Building upon the work of those who have gone before us in the faith, together we can do something beautiful for God in the communities we have been called to serve. After a long hard winter, this is great news. 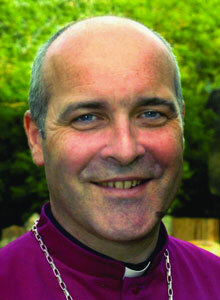 We look forward to welcoming Bishop Stephen and his family to East London later in the year.